Pericles tells a surging adventure story—a hero wanders Odysseus-like through the world of the Mediterranean—and climaxes with events that are seemingly miraculous. An original score composed by Tony-nominated Shaun Davey helps convey the mystery and magic of this tale of redemption, reconciliation, and forgiveness. The acclaimed story-teller musicians of PigPen Theatre Co. lend their voices and instrumentation to the production, playing Mr. Davey’s score and performing various roles throughout. Christian Camargo returns to TFANA, following his performances in Coriolanus and Hamlet, to play the title role. 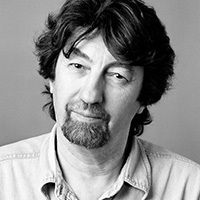 Trevor Nunn, former Artistic Director, Royal Shakespeare Company and Royal National Theatre, stages Pericles, one of Shakespeare’s late plays, for the first time in his career. “The mighty role of Hamlet sits with remarkable ease on Christian Camargo, the tremendously gifted actor. His fluid, natural handling of the language establishes an instant intimacy with the audience. Please be advised, PERICLES contains smoke, haze, and strobe lights. CLICK HERE to read the 360° Viewfinder production guide, with facts and perspectives on PERICLES. Leadership support for Pericles is provided by The Polonsky Foundation and The Thompson Family Foundation. Additional major support is provided by the National Endowment for the Arts and Shakespeare in American Communities, a program of the National Endowment for the Arts in partnership with Arts Midwest, as well as the Rosalind P. Walter Foundation. Endowment funds for the production are provided by The Howard Gilman Foundation Fund for Classic Drama.